IBT Industrial Solutions is a leading distributor of gearing for a range of applications. 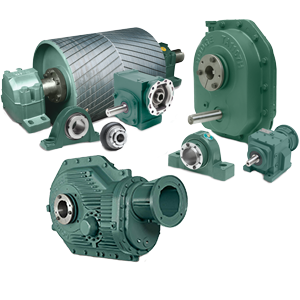 Our gearboxes provide the speed and torque to keep your operation up and running. Plus, with our wide selection of bearings, we can increase the torque density of your gearbox while decreasing the amount of energy used. Our extensive gearing products, paired with our gearbox build and repair services will ensure your operation runs smoothly and efficiently. IBT can help you avoid catastrophic gearbox failure and costly downtime through regular predictive and preventive maintenance. We also offer complete repair and overhaul services for all types of gearboxes and reducers, including manufactured, OEM and custom built units—regardless of where you purchased it! Did you know that IBT is an authorized, ISO-certified Dodge Quantis Build Partner? – Learn more.